Here’s a video from the Rachel Maddow show. It’s about the same oil spill that happened over 30 years ago. The same thing happened in the Gulf of Mexico, but in shallower water. The problem is, is that the same techniques used in the 70s, are being used today. They didn’t work then either. A giant cone was fashioned, in 1979, not unlike today’s “Top hat” scenario concocted today that failed. 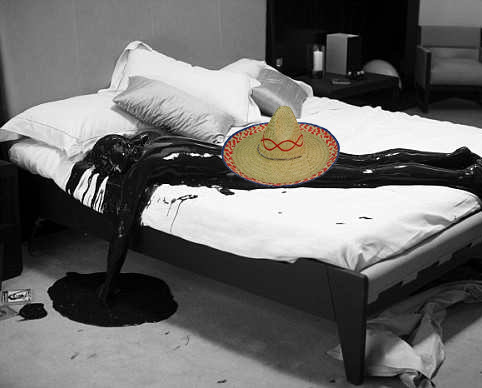 “Operation Sombrero” was a failure the first time around, so BP gave it a more cultured nickname to fail by. The only thing that worked back then were relief wells and apparently, BP is weeks away from completing one of those. Maddow make some pretty reasonable claims. Isn’t “crazy” defined as, “Doing the same thing again and expecting a different result”?